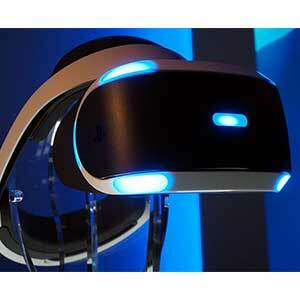 Project Morpheus – A New Trend? 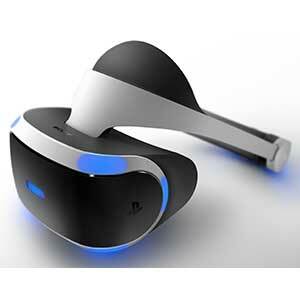 A direct competitor of the Oculus Rift, Project Morpheus has recently been renamed “PlayStation VR” by Sony. 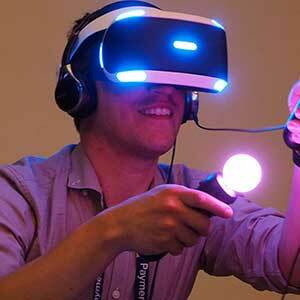 The virtual reality headset has been in development for a while and it is scheduled for releasein 2016. Though the new name lacks pizazz, it certainly helps the headset fit in with PlayStation’s existing ecosystem of peripherals. PlayStation VR will be one of the first truly immersive VR headsets to hit the market and so we wanted to find out if it would really set a new trend. Since many of the games we saw at E3 were in pre-alpha stages, and we only got a brief glimpse of the headset and the gaming experience, it was hard to say back then if it would be a game changer. The PlayStation VR is now lighter than the Rift, making it easier to put onand take off. The new design makes it easier to wear over glasses, though many people will not need to wear glasses with it. Unlike the Oculus Rift, the even weight distribution makes it easier to wear for an extended period of time and it doesn’t cause eye strain. The new single band makes adjusting the headset easier, but if you’re looking down a lot it may have to be adjusted a little. However, it does feel a lot more secure, much better than the Oculus Rift. Apart from the headphones that are part of the VR headset, there is no other source of the sound. The quality was crisp across all frequencies, but the sound lacked what we can only call directional depth;you’d frequently think that a creature was creeping up behind you when, in fact, it was to your left. This caused us to feel a bit disoriented. Many of the games take advantage of PlayStation’s Move controller, which is reconfigured for the VR. Strangely, unlike the bike and the gun we tested, the controller was very intuitive. We enjoyed interacting with all the games via the controller. One of the games that works particularly well is Impulse Games’ shooter that uses the Move controller. Though still in alpha test, the objective is to shoot creepy spiders that seem to attack you from all directions. Obviously, there’s lots of movement involved, but you don’t need to turn around;just use the thumbstick as you would with a regular game. It’s a refreshingly good game and a great idea, which helps to give people a sense of what VR gaming might become. Sadly, the bike demo we tried out on a specially-designed bike, with mounted sensors, was not all that it was cracked up to be. The sensors are not accurate and so you often have a problem maneuvering and processing what is going on around you. The ride itself is quite comfortable and you can easily spend an hour on it, but the price has not been announced. We have a feeling it’s going to be pretty expensive; at least, a lot more than the average person would want to pay. Apart from the name change, there have been a couple of other developments since we last experienced Project Morpheus. There is considerable improvement to the hardware; The 5.7 OLED screen, with a whopping 1920 x RGB x 1080 resolution, was very good. The sound was noticeably better and the field of view was stretched to a good 100 degrees. Plus there is support for 120 fps too, up from 60 fps. There is also support for what is called social screen, which takes the same 3D audio and video and puts it on a screen so that others can enjoy and join in the gameplay. Although many of the kinks have been ironed out and the hardware is now almost ready for primetime, sadly, the software / games are not at the same stage. While there are many companies scrambling to get their titles VR-ready, the currently available demo games are unpolished. If PlayStation VR is going to be a hit, it will need over two dozen titles and right now there aren’t many in development. In addition to the lack of games, the experience isn’t that great yet, there is a distinct lack interaction media, e.g. guns, bikes, etc. and the Move Controller still needs to be tweaked a little. There are a couple of things that have to be improved in order for the PlayStation VR to be a game changer; the most important being that the action on the screen needs to sync faster with the movement of the head. This means that the slightest tilt in the head should instantly register on screen. This will do away with nausea that many people feel. The other important thing is the resolution. Since the screen is so close to your face, it’s easier to see the actual pixels. If anything this is where 4K displays should be used, but that will only be possible if the PS4 can churn out 4K-compatible content. This seems highly unlikely for the current generation, but may set the stage for the PlayStation 5 and the next generation of VR. Guests And Gadgets – How To Manage Them!